YP Canada delivers directory information regarding Men's Clothing Stores throughout Canada. 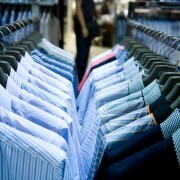 Find local Men's Clothing Stores close to you with YP’s complete directory of local businesses. With Yellow Pages be sure to find just the right business wherever you are across Canada.